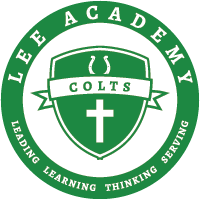 THE CROSS COUNTRY TEAM WILL HOST THE LEE INVITATIONAL ON MONDAY, OCTOBER 10 AT 4:00 AT THE CLARKSDALE COUNTRY CLUB. THIS WILL BE THE LAST MEET THEY WILL HOST IN CLARKSDALE. PLEASE COME OUT TO SUPPORT AND CHEER THEM ON! All Softball uniforms and helmets must be turned in by this Friday. Varsity Football game Friday night at Home vs. Indianola Academy. SENIOR NIGHT- all Seniors who play Fall Sports will be recognized before the game. (6:30) Seniors and their parents need to be on the football field by 6:30. Game time is 7:00. Drop by the office to complete your order, and leave payment by today, (Oct. 6) at 3:00! Don't miss the deadline!